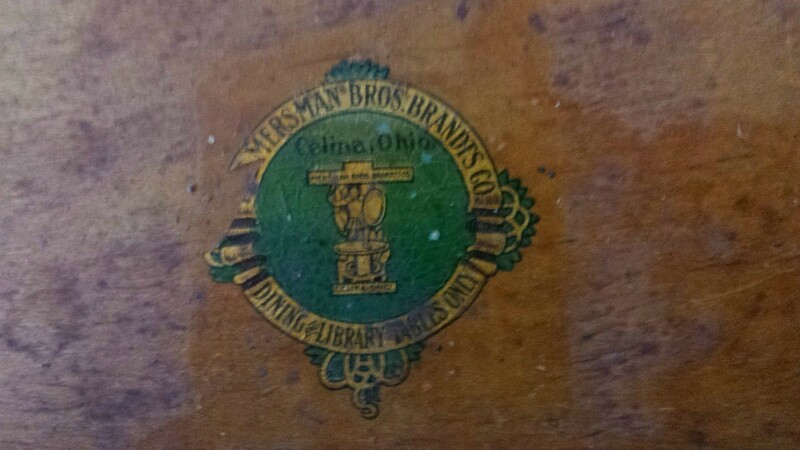 I have this library table I was going to sale. It has some damage (my ex put a fish tank on it and it leaked!). I tried to show that in the in the pics. It is beautiful and if it was fixed would be gorgeous. What do you think would be a fair realistic price? This is a Mersman table. I would think in good condition it would be worth $300. 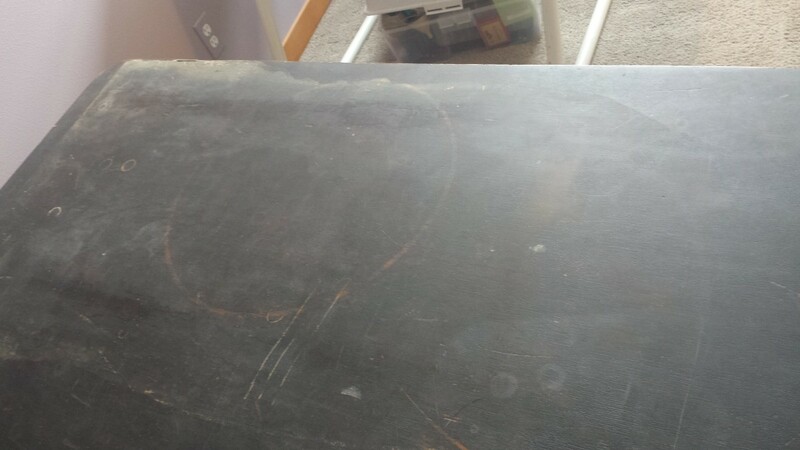 I would take $75 off for the condition it is in. Neat old Mersman piece!! Sad that it is damaged. 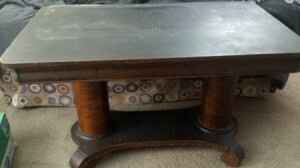 Where I am pristine tables like this (if it is as large as it appears in the photo) can sell as high as $1500 at auction. You could try to sell it through a reputable antique dealer who may be able to refinish it. If you were to sell it as is, most people through Facebook, Craig's List etc. At least where I am, will barely give you $100 when something is in bad shape. It is expensive and time consuming to repair is their response, which is true. You can try starting it at $500 and take best offer, and it will be a happy bonus if someone wants it enough to pay that much for it as is. Post back what you decide. These are sturdy pieces that will last forever!! Thanks for responding. It is large 48 X 28. Can I ask where you're located? Closest big city to me is Seattle. I will try a few antique shops and see what they say. We have a lot in my little town-its geared towards tourists. Wish I had the knowledge and the time to refinish it. I appreciate you responding. I never thought it could be worth that much. Another black mark for the ex! I am clear across the country in Pennsylvania. I would try to work through antique dealers to sell it. Our market here and values may be totally different than yours. I know Seattle has a high cost of living, so I am not sure how that affects the second hand market. Post back how it goes for you!! This is a beautiful and strong table. I would put an ad on letgo and list it for $250.00. 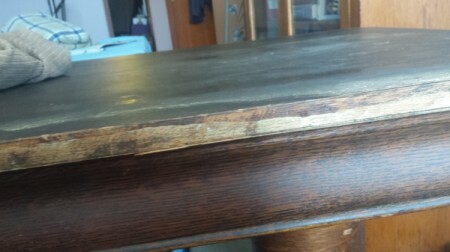 People love to fix up furniture, and this looks so sturdy. It is not frail like a lot of tables you see on the market.